Turkish Prime Minister Tayyip Erdogan has been on a rampage against social media sites like Twitter and YouTube as a result of material that had been posted on both. Although a court ruled that Twitter must be unblocked within the country and the government listened, another court order regarding YouTube is being ignored. On Thursday, officials with the Turkish Information and Communications Technologies Authority (BTK) stated that until “criminal content” is removed from YouTube, it will remain blocked throughout the country. The content that is being referred to are conversations from Erdogan’s office that support the existence of corruption in the government, once those conversations went viral on Twitter and YouTube, the sites themselves were blocked. It may be banned but people within Turkey are still accessing YouTube just as they did when the Twitter ban was still in place. Through virtual private networks (VPNs), people can access content online without government-connected internet service providers (ISPs) knowing what their customers are actually looking at. The court ruling on April 9 was supposed to overturn the ban, as the court decided that it infringed on free speech. Even though it did not go as far as to completely support YouTube’s response to Turkey’s removal requests, the court said that it would make more sense to block individual URLs rather than an entire video sharing site. Erdogan has criticized the court’s ruling in regards to Twitter as well and is presumably pleased by the telecom authority’s decision to ignore the court in this situation. 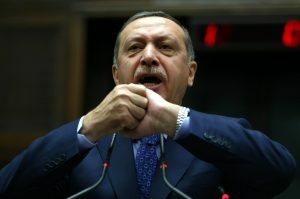 Erdogan has been calling for another Twitter ban to be put in place, as he views the social networking site as a threat. Question – Do these bans do anything considering that people can still access Twitter and YouTube via a VPN? Summary: Turkey is refusing to unblock YouTube even though a court ruled that the block is illegal. Prior to this situation, Twitter was blocked in the country but the court was able to get it unblocked.